Living Liturgy™ is your comprehensive go-to guide for preparing Sunday liturgy. This 2018 edition provides completely new content by a fresh team of expert authors, What you get is practical, sound, and inspiring preparation for your parish ministry. This best-selling annual resource is ideal for parish ministers, liturgists, pastors, planning committees, and RCIA programs. It offers the week’s Sunday readings plus insightful reflections and background for parish ministers of all types. Engaging new art by three remarkable artists complements the text. 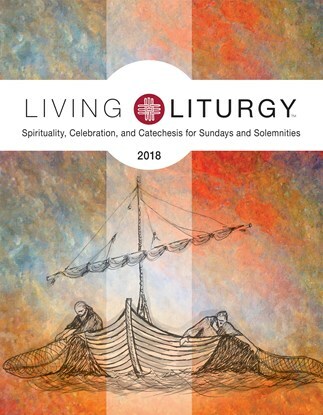 Written completely fresh each liturgical year, Living Liturgy™ gives your team members the spiritual preparation they need to become true ministers of the liturgy.